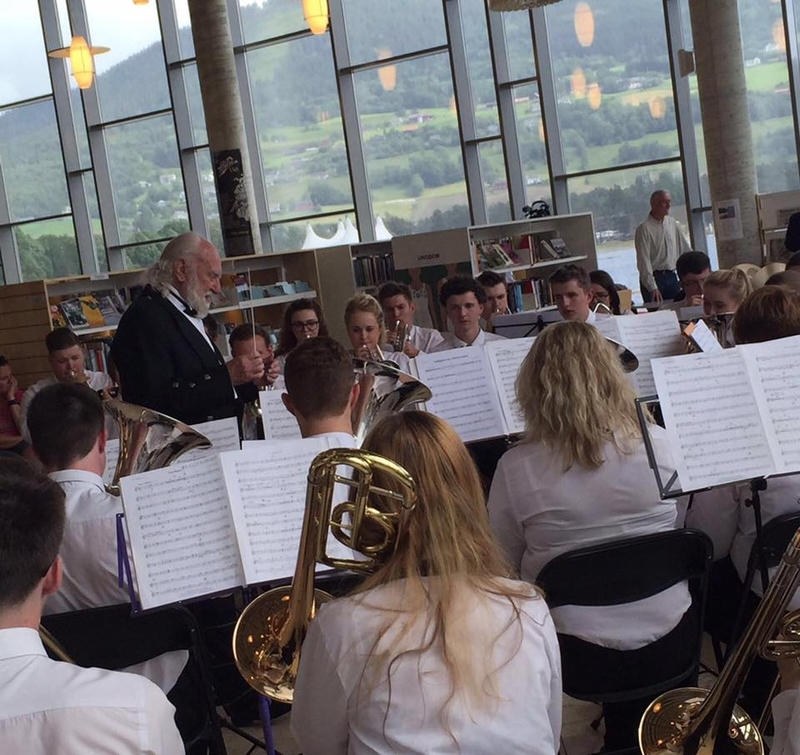 Richard Evans, Musical Director Emeritus of NYBBS, leading the band during the concert in Voss. CELEBRATIONS were in order on day five of the National Youth Brass Band of Scotland's trip to Norway, with a birthday in camp. Cornet player Callum Bain's special day was marked in style as the band enjoyed an evening barbeque and gigantic cake, courtesy of the wonderful staff at Åsane Folkehøgskole. The band then performed in front of an appreciative audience and assembled media.